One-step Quick-Connect mechanism makes mop assembly and frame changes fast and easy. Durable nylon universal joint provides a full range of motion. 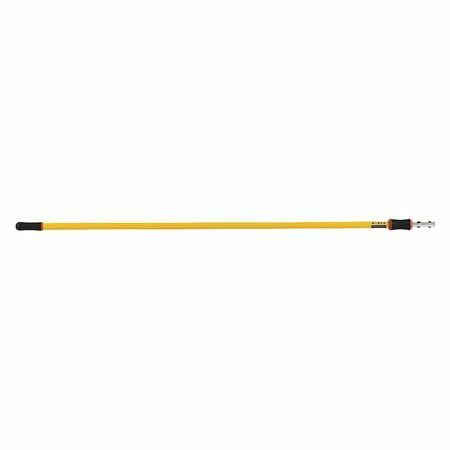 Extension poles come in multiple lengths to make cleaning more efficient in every area of your facility. User-friendly rubbery grip makes handle more secure and comfortable to use . Lightweight aluminum construction for improved productivity. Tough HYGEN microfiber mop pads (sold separately) clean better than string mops or conventional microfiber. LEED point-qualified. If you have any questions about this product by Rubbermaid Commercial Products, contact us by completing and submitting the form below. If you are looking for a specif part number, please include it with your message.